For those who can’t afford expensive Canvas series smartphones, here is new feature specific smartphone Micromax A72 Canvas Viva. The ecommerce portal infibeam.com is offering the device for RS 6,999. The company is yet to launch it officially. The MRP of the device is Rs 7999. Infibeam.com is offering free shipping in India with the delivery time of 2-3 business days. The phone is listed as ‘in stock”. It is also offering EMI on the device. It runs on Android 2.3.6 Gingerbread and is powered by a 1 GHz processor. It has a 5 inch Capacitive Touch Screen that is available with pinch zoom and multi touch options. It has a display resolution of 480x800 pixels giving you a vibrant and clear display. It has connectivity options like Wi-Fi, GPS and Wi-Fi Hotspot the 3MP rear camera. The user can also take self-portraits and do video chat with the front VGA camera. The camera also allows one to zoom up to 4x. It also features an FM radio that allows you to record the songs on the FM. Now listen to music unlimited with this phone as it also has a music player and video player making life more exciting. 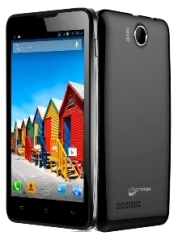 It has an internal storage capacity of 110MB expandable up to 32 GB. It has 256 RAM and 512 MB ROM. This phone runs on 2000 mAh battery giving you longer talk time and standby time.